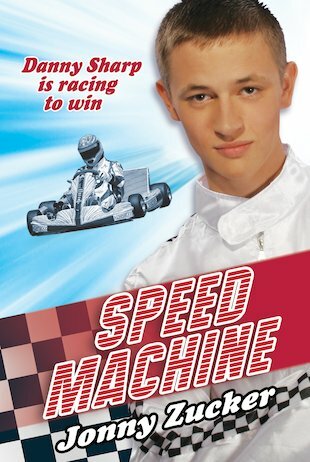 Danny Sharp has one dream only: to be a Formula 1 champ. He’s always been fascinated by cars, and he means to take his obsession all the way. He spends all his spare time at the Silver Speed Karting Club – and now he’s gearing up for his biggest race yet: the national karting competition! Danny’s desperate to do well so he can find a sponsor who’ll help him get into Formula 3. But just before the race, Danny finds his kart wrecked. Someone wants to sabotage his chances! Will he get his kart fixed in time? Will he win the race? And will the famous Formula 1 driver Scott Devlin be able to help? Full-throttle fiction based in the sizzling world of race car driving. An amazing book about struggling to achieve your dreams.